When Norman found Noh-Varr he was in seclusion at the closed maximum security penitentiary known as The Cube. Norman requested that he join his team and become the Skrull-hating new Captain Marvel that he was meant to be. 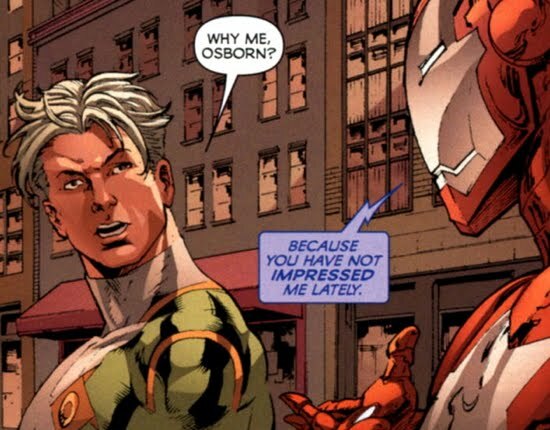 Noh-Varr accepted Osborn's request. After Karla Sofen (aka Moonstone aka Ms. Marvel) seduced Noh-Varr, she made an offhand remark about how Norman had staffed his Avengers with 'psychotic criminals and murderers'. The naive Noh-Varr was stunned and decided to break his allegiance with Norman. Noh-Varr goes off radar for an extended period of time before Osborn decided to send The Sentry to obtain him. 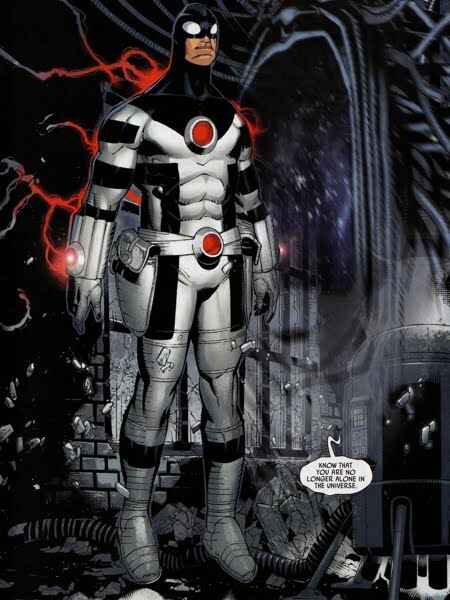 Noh-Varr was able to out-maneuver The Sentry (with a little help from a female companion who shot The Sentry out of the sky with Noh-Varr's gun) and he altered his identity to become the hero known as The Protector.